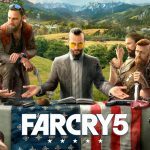 This isn’t just any review of Far Cry 5, We’ll dig deep into every little core system present in the game and lay bare its very innards. This won’t be a quick read, but I’ll do my best to make it an entertaining one. Our story starts off with our playable character tagging along on a helicopter ride with the local Sherriff, his deputy and a US Marshal with the intent of arresting Joseph Seed, the leader of a cult called Project Eden’s Gate. 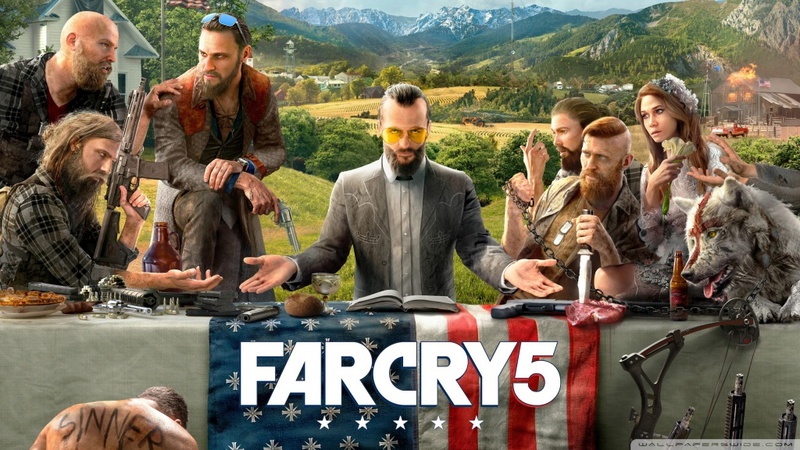 As a sensible person, you realise that 4 people probably won’t cut it when the entire cult seems to be armed to the teeth, but since this is a game you’re better off just going with the flow than trying to fight it. 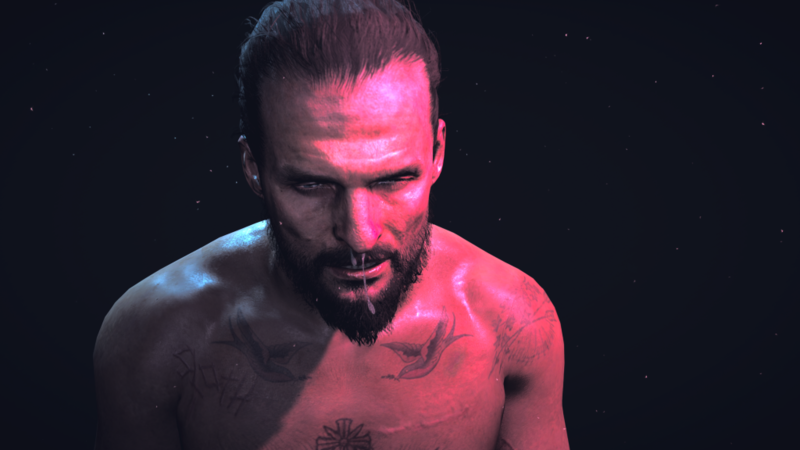 Luckily, just like Far Cry 4 before it, you’re also given the choice to end the game right from the start if you simply choose to not oppose the bad guy. It’s a joke ending, but I appreciate the inclusion and personally hope it’s a mainstay for the rest of the series. If you do choose to arrest Joseph, it doesn’t take long for things to go south. Your helicopter gets shot down and most of your allies get caught by the peggies (Project Eden’s Gate members will hence forth be referenced as such). You escape with the marshal and after a long and intense chase end up driving into a river. Beating impossible odds seems to be our personal superpower so even this doesn’t kill us and we’re rescued by someone who doesn’t agree with the peggies. After patching us up he sets us on our real path in the game: assisting the various resistance members and defeating the Joseph’s brothers and sister who each are in control of their own region. After poking fun at the previous games’ climbing of comm-towers, you’re free to proceed in any direction you choose. The difficulty of the game isn’t tied to specific area’s but to your progression in them so it’s entirely up to you which sibling you want to put 6 feet under first. 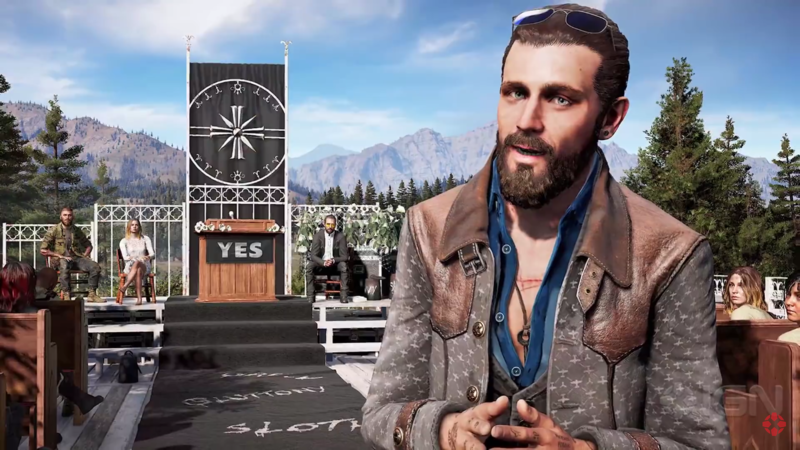 What differentiates FC5’s story from the previous games is that the main villain is kind of split in 4 here, with each ‘sibling’ representing a certain aspect of the cult. You can’t just run to each zone and kill the leader straight away. You’ll have to raise a resistance meter by performing certain actions in each zone and after a certain level is reached, you’ll get forced into a cutscene to progress the story. The first zone I started clearing was Faith’s and I kind of regret this as she ended up being the most interesting of the bunch. The cultists worship her and she can control something called “The Bliss”: a drug-induced state of obedience that makes you do her bidding. 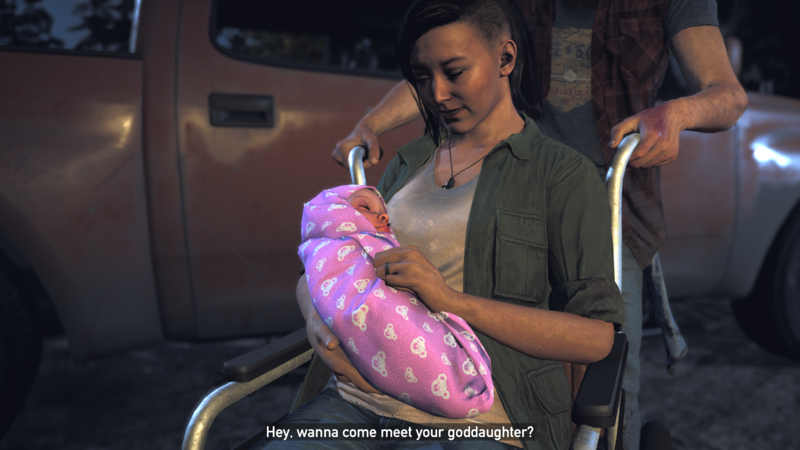 It basically gives FC5 an excuse to have zombies in the main game so I’m not complaining. It’s strange to admit but I kind of looked forward to being taken into the Bliss each time as it succeeded in presenting a totally different aesthetic when compared to the rest of the game. It’s also in these scenes that I finally learned more about the antagonist’s intentions. The next sibling on my hitlist was John, known in the cult as the baptist. I like to call him the Yes-man as he’s constantly looking for more things to say “yes” to. He’s an expert at indoctrinating people and seems to have a gentle demeanor about him which conflicts with his cruel actions. If a poor soul falls into his hands, he’ll engrave their sins into their body. Cruelty towards their victims is perhaps the one thing all of them have in common and you’ll see your fair share of mutilated bodies throughout the world. 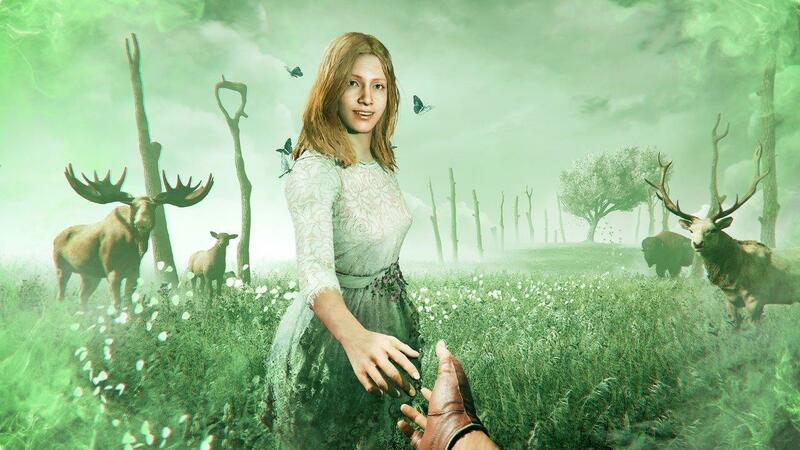 Throughout the story you’ll be caught multiple times by the Seed siblings until it almost becomes a joke that you’re able to survive all of the encounters. Strangely enough it’s often Joseph himself that saves you from them and reminds them that you still have a purpose to fulfill. Personally I just see it as the game’s excuse to force me into setpiece moments and they try to make you do enough side-content in between so it wouldn’t be as apparant as it is. Lastly we have Jacob Seed, the recruiter. He’s the one training the cult’s military and Judges, large white wolves with red crosses on their heads who are taught to attack nonbelievers on sight. His main gimmick is that he plays “Only You” on a music box and it conditions you to kill everyone in sight as fast as possible. This goes along with his beliefs that only the strong should survive and that they should “cull the herd”. After you get rid of all three siblings, you only have the final confrontation with Joseph Seed ahead, who’s sad and pissed so you better watch out. for the love of god, please snort! I won’t give away the endings here (even though the game has been out a while now), but suffice to say that there isn’t really a happy ending, no matter what you choose. While I’ve heard mixed reactions to these, I fall into the category that appreciates the bleak future ahead and I’m genuinely curious about what comes next. 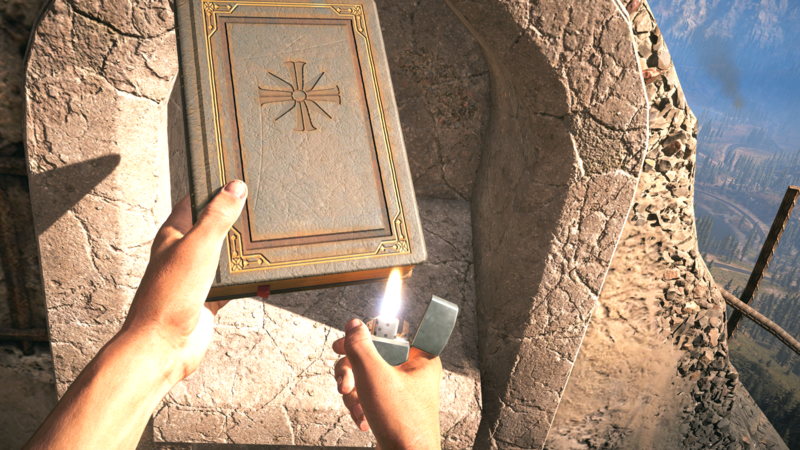 While you would never catch me saying that Far Cry 5 looks bad, I did just come away from playing Assassins Creed Origins and it somehow feels like a step down from the quality that was reached in the previous major Ubisoft title. 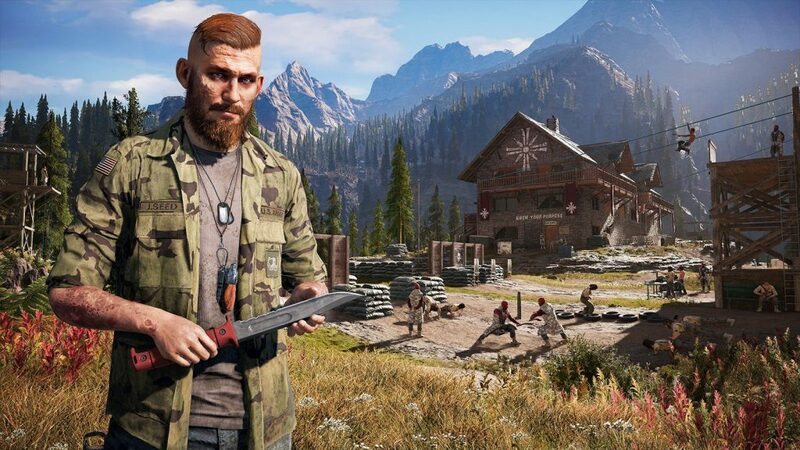 In my Origins review I made the remark that it was weird how the cutscenes looked worse than the in-game graphics, but in FC5, the opposite seems to be true. The amount of detail that is present in the character models in the opening cinematic just isn’t present when meeting the ingame counterparts. 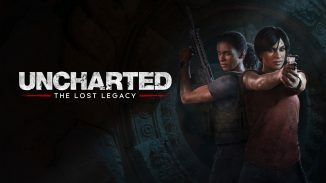 It’s not that they look terrible (well, not any important characters at least) but starting the game in such a manner created expectations that just weren’t met. 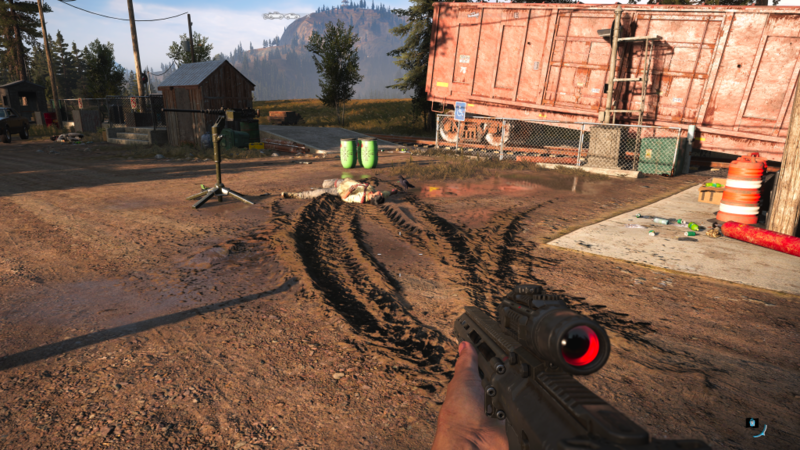 FC5 also has some great use of HDR which makes the colours really pop and looking at the sun might actually make you squint, but on the flipside of things there are certain objects on the game that seem to reflect light in a manner that just isn’t realistic. I’ve never seen the bark on treetrunks reflect the sun that bright in real life. Added to this are instances where I noticed flickering lights and textures, mostly when there was plenty of foliage to render. The game’s world looks great, but it’s a pity most of it looks alike. If you’re a big fan of mountains, forest and farmlands, you’ll get a kick out of it but I found all the locations to mostly blend in with each other. You’ll be spending dozens of hours here and there should have been just a few more setpiece locations that break away from the mold. 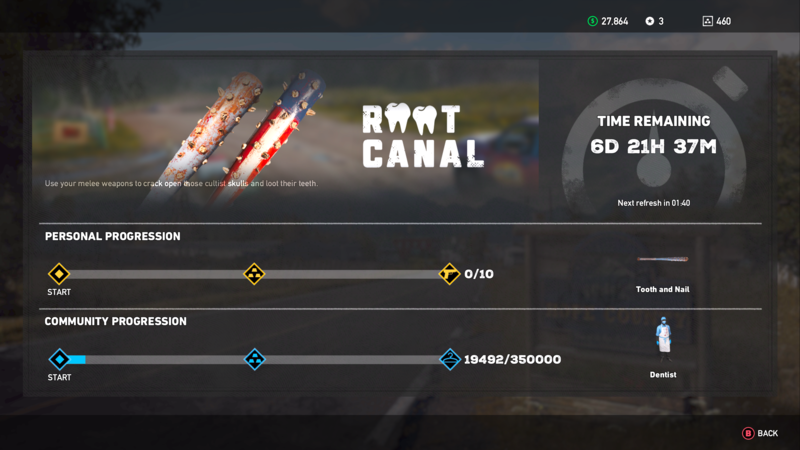 That’s why I gobbled it up whenever FC5 did try to put some variation in my path. There are some moments in the game where I did appreciate the attention to detail, but most of them where in the scripted cutscenes. One example of this was when you were tasked to race to the local wetnurse to have a baby brought into the world. Kim squeezed Nick’s hand the entire ride and when you see him roll her out, you can actually spot the bruize on his hands. if their daughter takes after mommy, I wouldn’t let her squeeze my finger! 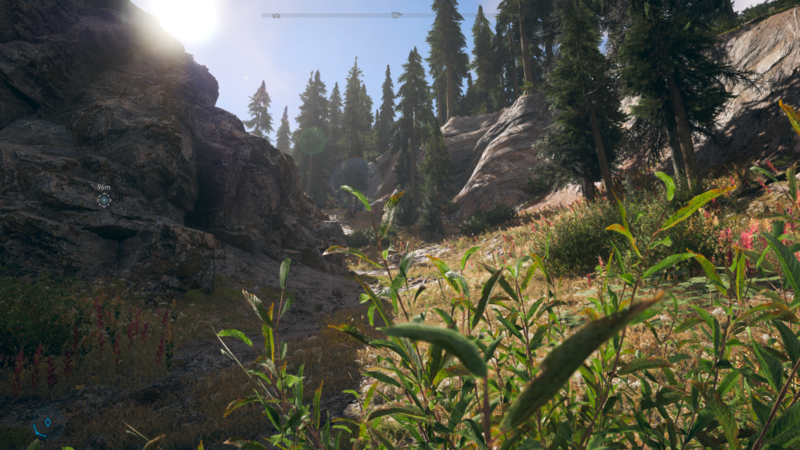 On the Xbox One X, the platform I played it on, I must admit that the textures where often of A+ quality and there was a decent draw distance making it a game to behold on a 4K screen. Just look at the pebbles in the image below and check out those freshly made tiretracks in the mud. Sound effects are stellar and explosions will boom from your boxes if you have them. 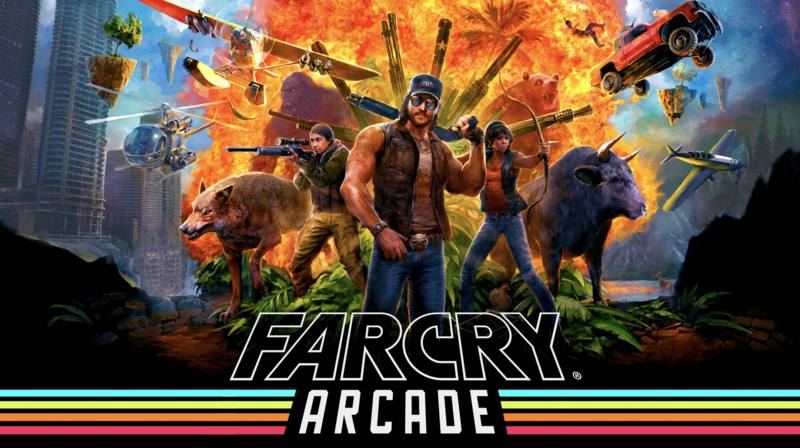 Guns & vehicles each sound distinct enough and all characters are fully voiced as one would expect from AAA games. 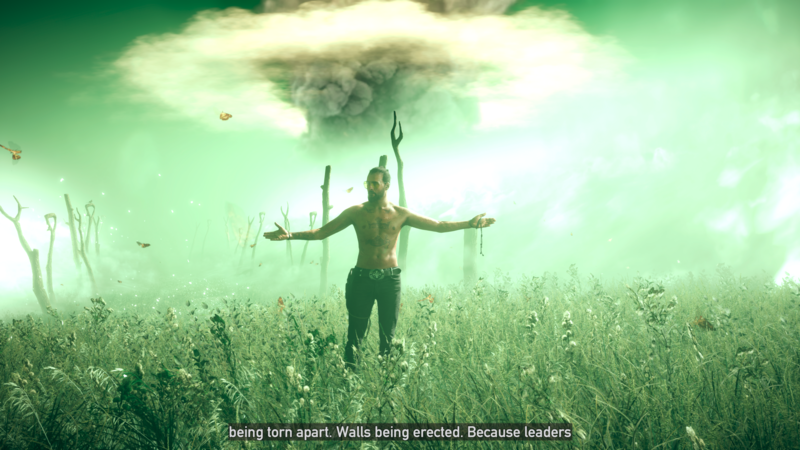 Far Cry has become known for its memorabe lines that the main villains drop on you and while Vaas or Pagan Min are slightly more iconic in my own opinion, the Seed Siblings each bring their best effort to the mic. Sadly the subtitles are frequently out of sync, so I quickly turned them off while I normally prefer to have them present. 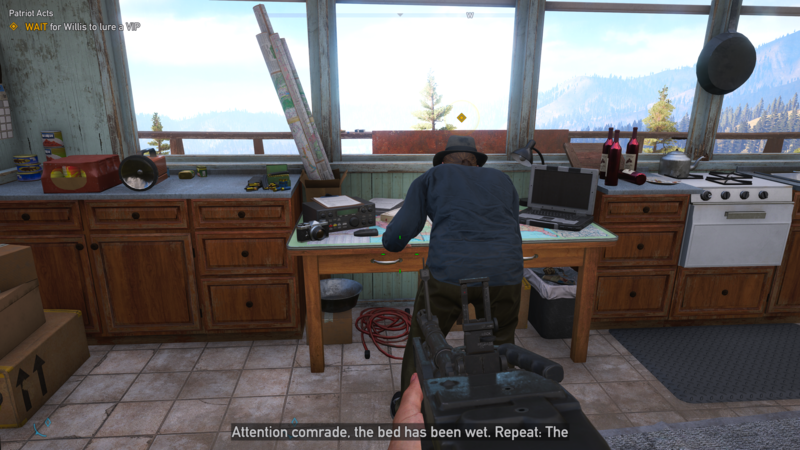 While Far Cry tries to offer you all kinds of gameplay experiences, in its core DNA, it’s still a First Person Shooter. It’s kind of strange then, that you start the game with a character creator. If you’re playing the game solo, you’ll never even see more than your feet or sleeves so I guess the intended effect is for co-op and multiplayer purposes only. You also get to choose a gender and that seems to be the main reason our protagonist is a silent one. That’s right, throughout the experience your character is about as silent as the rear end of a human centipede, uttering nothing but a few grunts and squirms. The core FPS gameplay is quite satisfying, but it personally took me a long time to find the guns that suited me best. The starting assault rifles or shotguns just don’t seem to have the impact you would expect (three shotgun blasts needed to kill a badguy at medium distance, really!?). I found myself playing almost 90% of the game with the sniper rifle in the end, only changing to the (silenced) handgun or bazooka when the situation called for it. 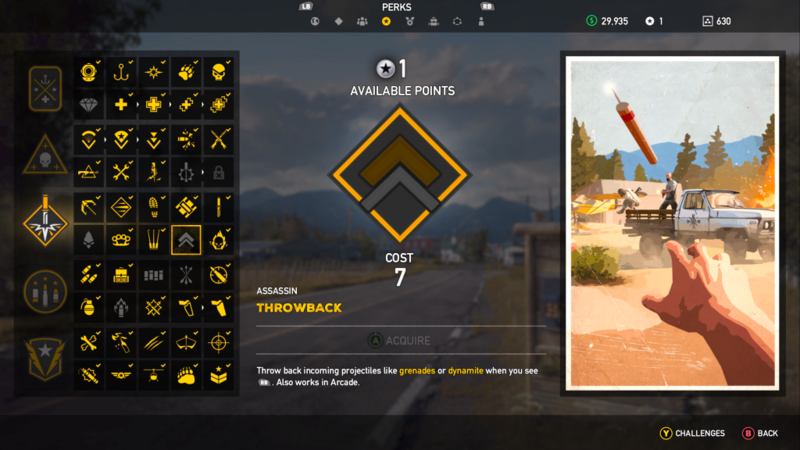 Melee weapons did play a big role in the start of my campaign, especially when I discovered you could throw shovels like Captain Ahab throwing harpoons at whales… Variation in how you tackle combat is encouraged however, because FC5 uses a skillpoint system that rewards you for having X amount of kills with melee, various types of guns or sneaky takedowns. throwing back an explosive is an “assassin” move? Even if you keep to your preferred guntype, you should still be able to pick up enough perk points by finding hidden caches or doing other types of sidequests like fishing, hunting or by playing multiplayer. Since we’re on the topic of firepower however, I should also mention that you’ll never feel the need to purchase any weapons or vehicles with real money. Yes, it’s a Ubisoft game so they will offer you the option to do just that, but there’s plenty of money to be earned in-game and if you spend it wisely you’ll never feel like you’re missing out. 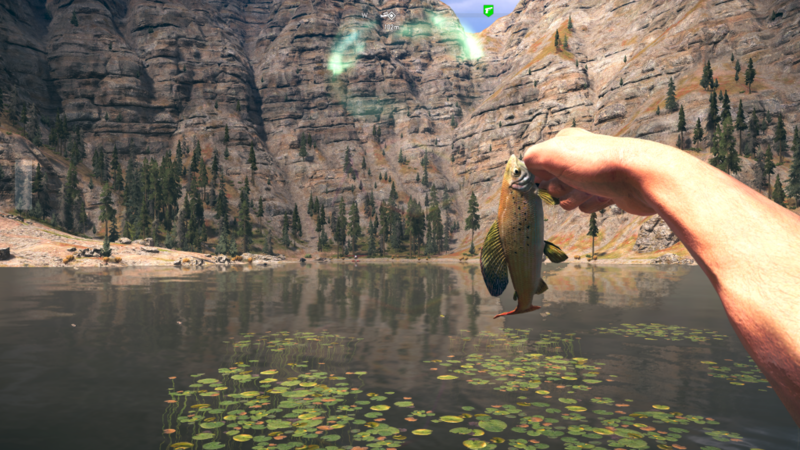 When you’re not shooting baddies, you can find some other activities to keep you busy, like my favourite one: fishing. The mechanic is barebones, but enjoyable: it’s comparable to Final Fantasy XV’s, but easier and less frustrating because you don’t need to purchase lures or fishing lines. There are plenty of places to try and catch rare gillbreathers and selling them at shops gets you a significant reward. If you prefer to hunt prey on dry land however, you can whip out your bow and do just that. I didn’t need the sign, I could smell ’em already. 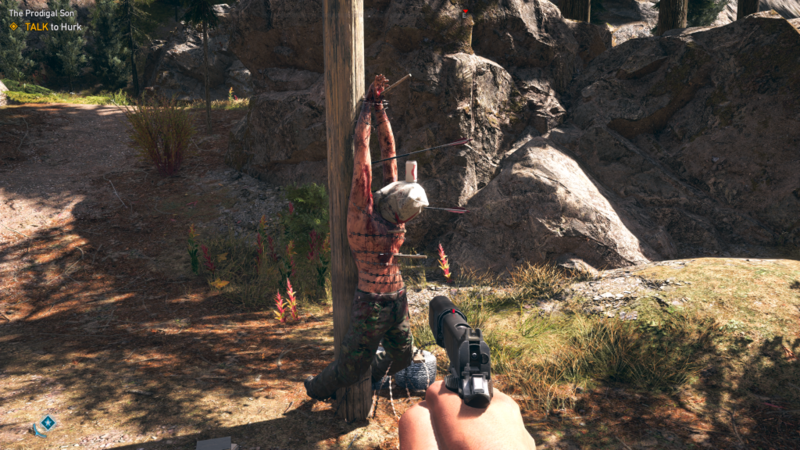 While the hunting is still present from previous Far Cry titles, there isn’t a big use for it. You can sell the skins from animals at shops but you no longer need to find specific types to craft better weapons, holsters, backpacks etc. I would just kill the animals I encountered naturally, but I hardly ever went out of my way to kill a certain kind unless a sidequest required me to. Their presence was also a nuisance from time to time as they wouldn’t even let me fish in peace or watch an important story moment unfold. Often annoying, but sometimes downright funny. To really switch up the gameplay, you’d have to turn elsewhere. Luckily there are challenges that reward you for excellent driving, flying or even skydiving: the Clutch Nixon Challenges. These are adrenaline fueled “get to the next gate” type races that usually require a few attempts to get right. Sometimes they even add a handicap like putting you on fire so you can’t slow down too much. 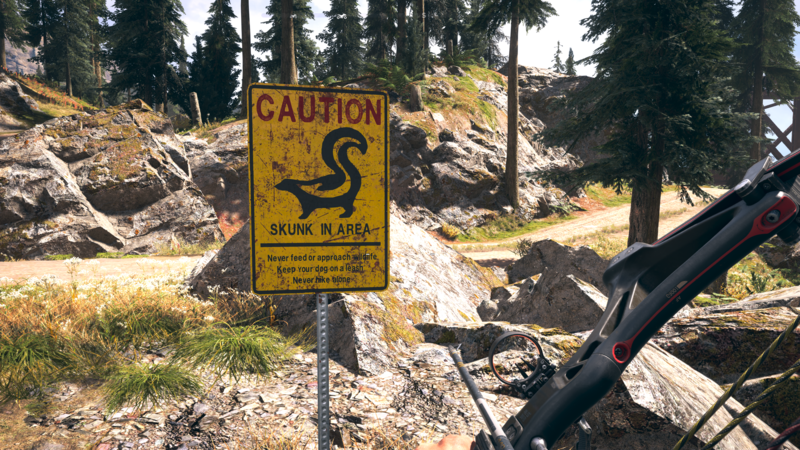 The map of Far Cry 5 is vast, so vehicles are usually a smart mode of transport. Or at least that’s what you would think… It also makes you a very visible target to all the enemies roaming about and they aren’t going to leave you alone if you drive past them. If you want to avoid them, your best bet is to stay off the road and onstead run through the woods like a bigfoot on speed. That last but isn’t an exaggeration either as I usually downed a drug that made me run faster. Which brings me to one of the major complaints I have with the game: the run button is locked to pressing down on the left analog stick. This is highly tiring for your thumb and I pity the poor fools that play this game on a Dualshock controller as I can imagine your hand would cramp up FAST. Luckily you can get around the map quite easily once you unlock the skydiving suit + parachute and the skill to airdrop above fasttravel points: just drop in and glide your way to where you really need to be. It’s quick, easy and rather silent too. This brings me back to how the game progresses the story: Each of the three siblings has their own region full of sidequests, outposts and objects to destroy and all your actions will slightly raise your resistance points. 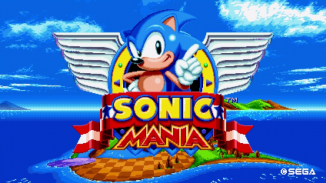 There are about 130 missions in total so it’s more than possible that you’ll have beaten the area’s boss well before you’ve completed them all. You can still choose to hang out in that zone and walk around mostly unopposed and I truthfully found this a more fun experience than when you would have to stop and kill some bad guys every five paces. Leading up to a cleared zone, you do encounter more and more opposition, culminating in aircrafts hunting you down and packs of bliss-zombies being sent after you but throughout the game I hardly felt challenged, especially because you can have the support of AI teammates with all kinds of special abilities. If you want your own air support you could call in Nick with his airplane or Adelaide with her chopper. You can have silent assassin types with you like Jess and her bow or Peaches the cougar. When it comes to clearing outposts however, I usually went with Hurk to blow up all the vehicles and Cheeseburger the bear to maul away at armored Peggies. 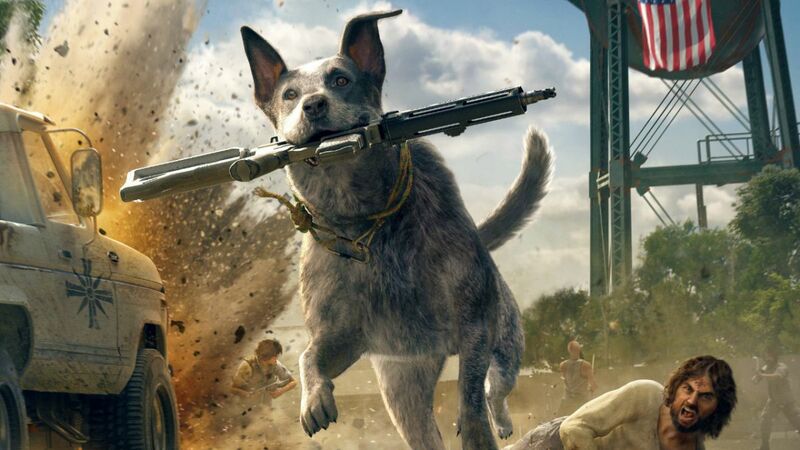 Some even have very unique skills, like Boomer who retrieves guns for you. 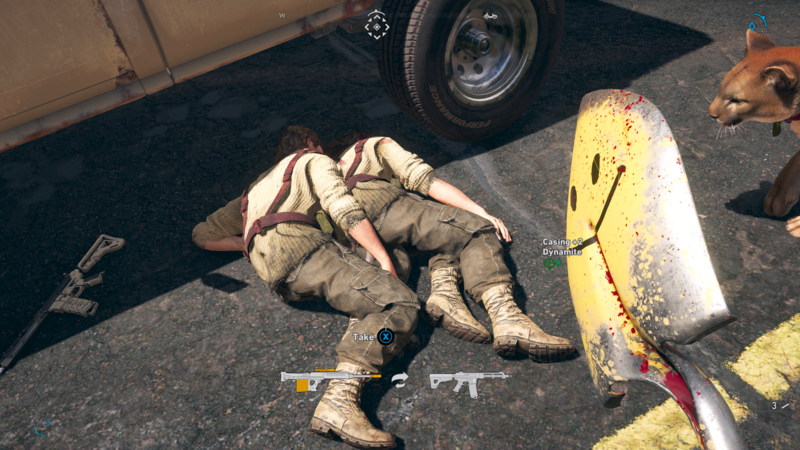 The best kind of partner you can wish for, is most likely a real human playing co-op with you but some decisions made here just do not make sense to me. First of all you can’t play couch co-op so you need your friend to be on a second device, with a second copy of the game (now it makes sense why they made this choice!). I didn’t have any fellow Xbox One version owners of the game that played in the hours that I usually game, so I couldn’t experience this game-mode myself. But it’s probably hard to convince someone to join your game in the first place, as they don’t progress their own story when tagging along for your ride. The AI teammates or characters that tag along can be a cause for major frustration on some occasions. More than once I had a scene that wouldn’t trigger because they weren’t in the correct position when the quest required them to or they coulnd’t cross a small puddle of water in their way. This seemed to happen most frequently when I took out an entire tower from afar with a sniper rifle and my tag-along seemed to expect that I went in guns blazing. 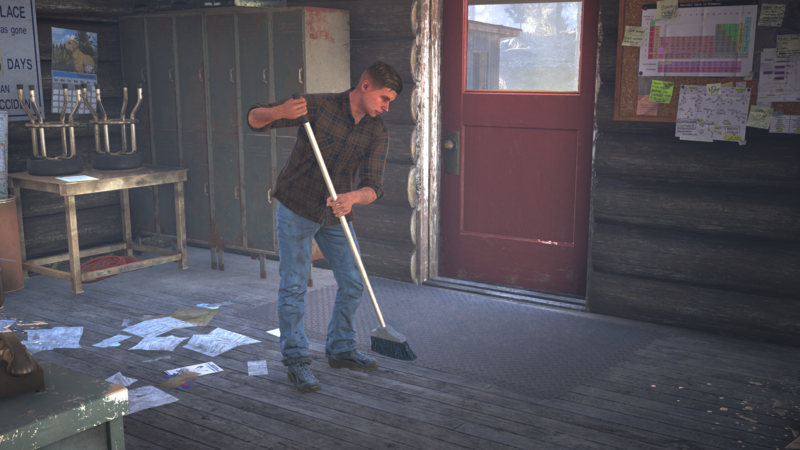 NPC’s also didn’t have the most natural response to what was happening around them, like this guy who started sweeping the floor only seconds after being freed from capture. I have my Priorities, man! The game seemed to be inconsistent when it comes to some quest progression as well: sometimes it would keep track if I tackled 2/5 targets for a sidequest and it didn’t care if I then started doing another sidequest, but for other quests it would reset the amount of sattelite towers I destroyed and reset to 0 unless I did them all in one go (even though they were spread far apart on the map). This was an exception more than a rule though, generally the progression felt very natural and I could just do what was closest to me at the time without worrying to much about the main plot. There’s always something to do and you even have some timed Live Events every other week which add extra value to an already dense game. If you’ve exhausted everything that can be done in the Singe player, which will take you around 40-50 hours, you can always put in additional time in the added multiplayer. 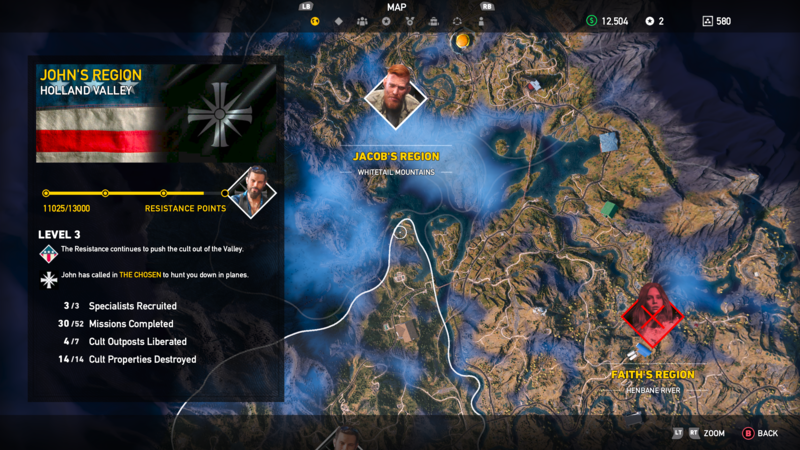 Far Cry 5 comes with a free map editor that lets you make your own story-like challenges or multiplayer maps. 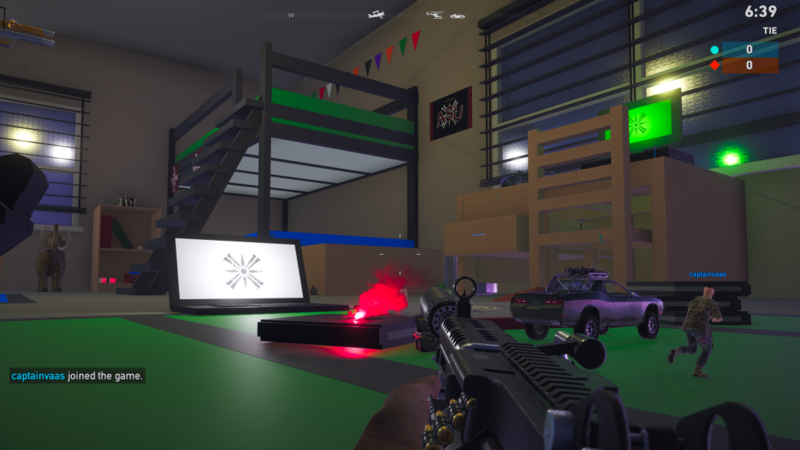 It has assets from most recent Ubisoft games, s you can pretty much make anything you’d like. Just be warned that creating a level can be time-consuming and takes a lot of hard work to get right. 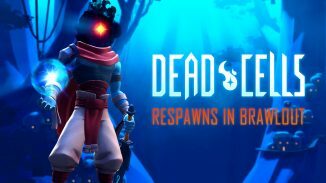 It does offer some varying gameplay but most people didn’t succeed in striking a good balance in weapon loadouts or designed their levels in such a way that favored ranged combat too much. It also doesn’t help that the maps you play are randomly picked or chosen by most popular vote. I once played a session where I had to go through 4 variations of Nuketown before I got to play something original. All in all the multiplayer feels lacking and I only spent about 5-6 hours with it before I grew tired of it and wanted to return to be more polished single player campaign. I wish the developers offered the option to play only maps they had designed themselves to make sure you had some quality time online, but at the time of writing this is not yet the case. 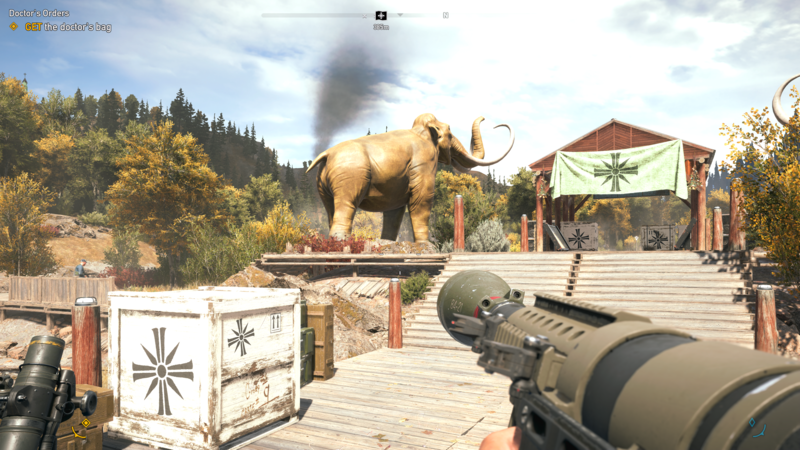 Far Cry 5 is a huge game with plenty to do and a natural sense of progression. The main story is all over the place and requires plenty suspension of disbelief but it still ends up being enough to drive the narrative and it’ll keep you coming back until you’ve completed all it has to offer. If you want some bang for your buck, Ubisoft open world games are usually a pretty safe bet and this is no exception! I love videogames (mostly RPGs), anime, movies and Magic The Gathering. Belgian, male, born in 1987 I love videogames (mostly RPGs), anime, movies and Magic The Gathering. Fun and fair review. I even chuckled a few times. I think there’s an option to have the sprint act as a toggle, but can’t recall for sure.